I've been looking forward to reading another Collins after having read The Woman in White (linked) back in 2011. So this is one of my most anticipated of the book club reads. Wilkie Collins (named William Wilkie after his father) was one of the most influential authors of the Victorian era, yet his name is often just a side note. He is known for The Woman in White and maybe The Moonstone, but little else. During his lifetime, his best known novels were classified as “sensation novels.” We now recognized them as early examples of detective and suspense fiction. Although Edgar Allan Poe wrote the first true detective story, “The Murders in the Rue Morgue,” which set the conventions of the genre that would eventually be associated primarily with Sherlock Holmes, it was Collins who expanded the form into the full length mystery. The Woman in White is his first effort, containing most of the usual elements; but it was The Moonstone that is the fully developed prototype of the genre. T. S. Eliot and Dorothy Sayers (herself a master of the mystery) both gave high praise to The Moonstone. No Name belongs to the other side of Collins’ writing: suspense fiction. There is no mystery to be solved - unless you count the mystery of what will happen next. 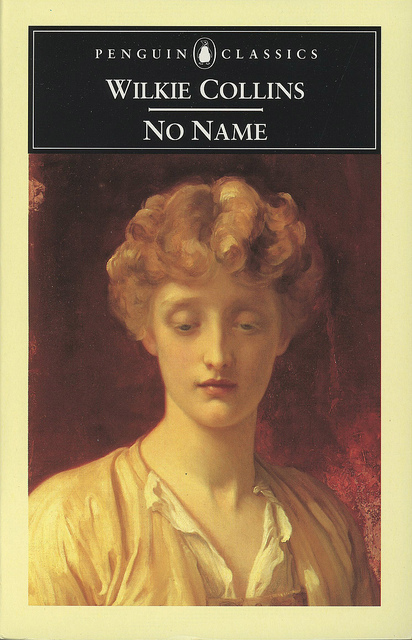 The book begins a bit slowly, and appears to be a novel of domestic manners, perhaps in the vein of Jane Austen, or Anthony Trollope (one of my favorite authors); but it eventually goes completely off the tracks as tragedy strikes. 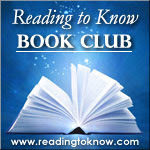 Are you planning to read along with us this month? If so, let us know in the comments below! I downloaded it for free last week. ;) I haven't started it yet, but I do hope to get it read (esp since I never got to The Woman in White last time). Yes, I admit his name is a side note when I'm thinking about Charles Dickens (which happens a lot). I'm really excited for this one. Should I admit I'm a little disappointed that the author is male? (I seem to struggle with male writing more). I really thought it was a woman. :S Still reading, though! I've already stated it (yay, the library had a copy)! After how much I enjoyed both The Woman in White and The Moonstone, I am eager to experience Collins' genius again. I'm going to have to skip this one even though I would love to read it! There seems to be so many books to get read and not enough time. I am beginning to feel buried. I think I am going to sit this one out. I looked at the first few pages on Amazon and just wasn't at all drawn it, and Tim's description of a main character as outrageous just doesn't appeal to me. That said, it did make me interested in The Woman in White. Whenever I look up classic audiobooks at Audible, that one pops up, and I had never heard of Wilkie Collins before. So I might give that a try some time. And if the descriptions of No Name at the end of the month sound really good, maybe I'll change my mind about that, too. I've started it, and I'm hooked. Now we'll see if I can find the time to finish it!